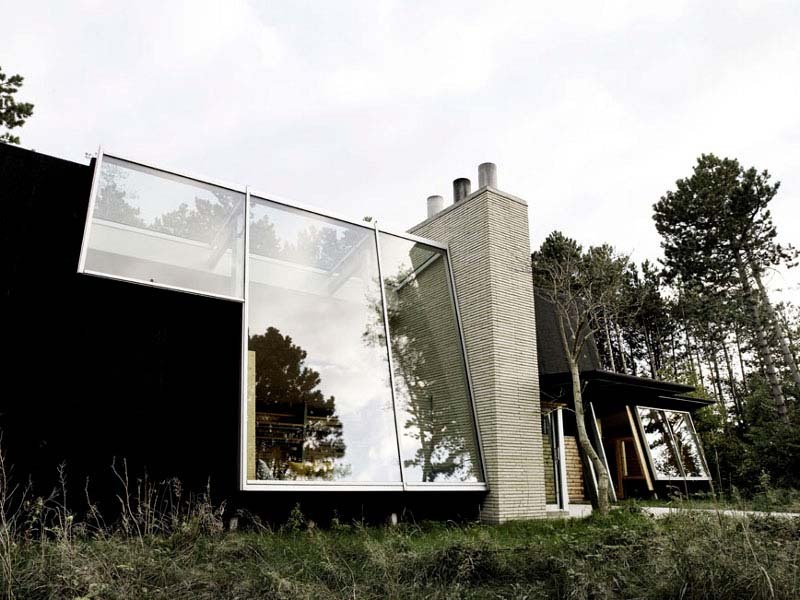 Danish architect Jesper Brask and his family spent three years, living on (in a trailer) and analyzing a woodsy acre of land in North Zealand, Denmark — coming to know everything about the site, from the sun’s movement over the plot in the summertime to its distance from the water — before starting on the design for his family’s summerhouse that would eventually occupy the space where a many a pine tree stood. 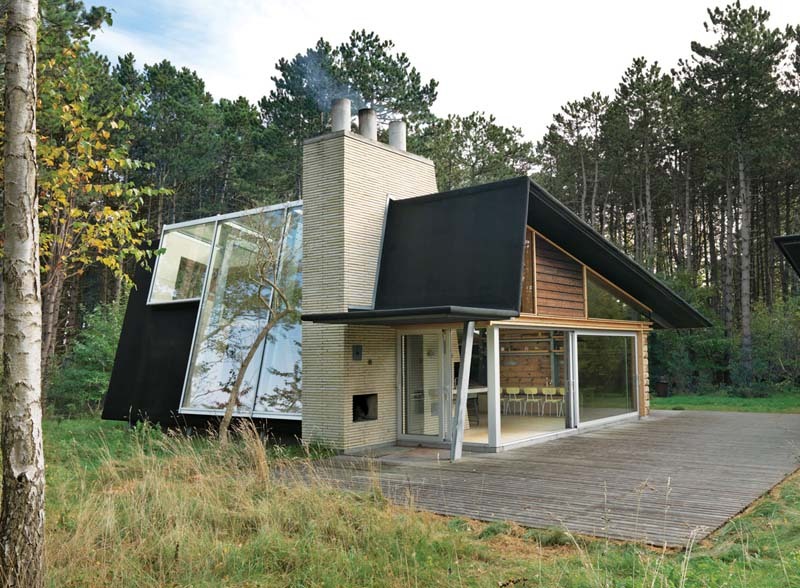 Brask used the timber from the pines to create his summer getaway along with steel, bricks, and glass for the dramatic sloping floor-to-ceiling windows and glass doors that bring the woods inside. At the core of the open-plan home is the towering chimney which holds three fireplaces, a conventional oven, and a pizza oven. Definitely the nicest “log cabin” I’ve ever seen. Photos courtesy of the architect and Karina Tengberg. what an amazing house. love the architecture with the surroundings!